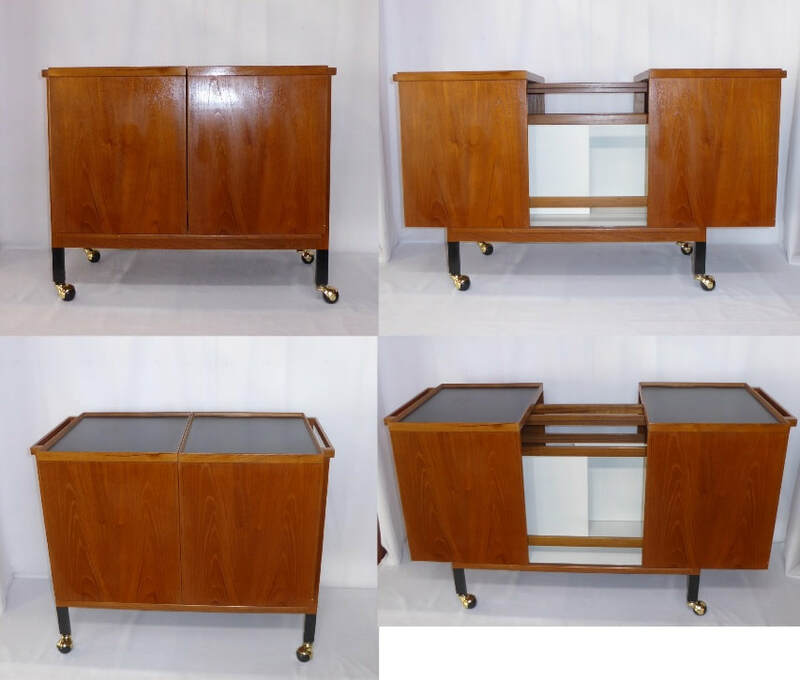 More views of Danish Modern Expanding Bar Cart by Niels Erik Glasdam Jensen for Vantinge Mobelindustri $2400. 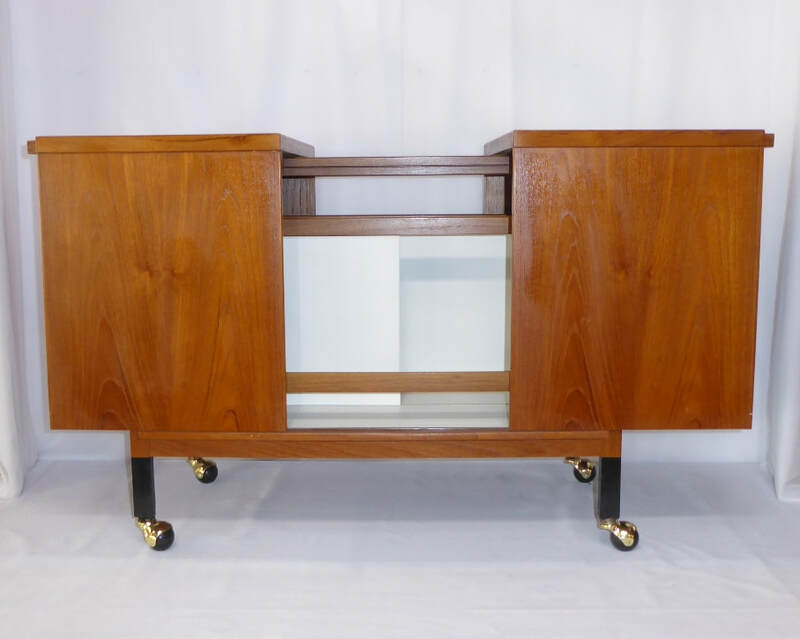 The bar cart measures 53" wide (when fully expanded; 35" wide when compacted) by 20" deep by 29" tall. . To purchase, call us at 702-384-2700 or email us (info@retro-vegas.com) and we’ll confirm this bar cart is still in our inventory and, with your zip code, determine your shipping costs. We can then send you an invoice through PayPal.